Shi Yan lost his carriage, so he had to make do with a horse to mediate. But he still found a way to continue practising the [Seal of Life and Death]. Every night, whenever he had free time, he would make an excuse to leave and put into action the knowledge gained throughout the morning. However, every time he tried to join the [Life Seal] with the [Death Seal], the result was always a failure. The merging of the [Seal of Life and Death] was very difficult. Every time he formed the [Life Seal] and [Death Seal], he was unable to project them simultaneously. Either that the [Life Seal] was executed first, or the [Death Seal] suddenly lashed out. If one wanted to merge them to form the true [Seal of Life and Death], the very first step would be to execute both types of Seals simultaneously. Only if this was achieved, could the [Seal of Life and Death] be formed. This required extreme control. It has to be mentioned that the condensing of his Profound Qi and the negative energies must be synergetic; existence of any flaw was out of question! Shi Yan was aware of this. However, every time he tried to put his thoughts into action, he found the process to be very difficult, and all his attempts ended in total failure. Noting that they were getting nearer to the Dead Swamp day by day, Shi Yan stopped his practice. After all, the simultaneous consumption of Profound Qi and negative energy was huge. Every time he practiced, his body would weaken for a while. Especially when forming the [Death Seal]. It required using [Rampage] first, however there would always be some backlash. In order be in top condition while in the Dead Swamp, Shi Yan reluctantly stopped his attempts. Determined that he wasn’t going to stress out anymore, Shi Yan was more relaxed. As he no longer spent his time in meditation for the upcoming journey, he had plenty of time to interact with the two girls, Wu Yunlian and Zuo Shi. While travelling together for some time, Shi Yan gained some understanding of Wu Yunlian and Zuo Shi. They didn’t especially get along very well, but they didn’t have any conflicts either. Shi Yan was riding his horse alongside the carriage of Zuo family. His expression was serene, and he was still deep in thought about the [Seal of Life and Death]. Shi Yan stared and gazed into the distance, spotting three black dots. Shi Yan, however, furrowed his brows slightly. He didn’t know how Xia Xin Yan would react after seeing him. On that day, before Xia Xin Yan fainted, she had clearly seen him. Xia Xin Yan definitely knew now why she was at the Misty Rain House. During this meeting, who knows if Xia Xin Yan would interrogate him or not. But Shi Yan wasn’t particularly worried. At the Misty Rain House, the only time he really violated Xia Xin Yan was when she was unconscious. Xia Xin Yan should not know what he had done. Xia Xin Yan never separated far from Shi Yan and the rest. Although she had nonchalantly tossed out the half-part of the map, inwardly she was still cautious of them. She was constantly on guard towards the Shi and Zuo families in order to prevent them from taking any covert action without her knowledge. That day, when Shi Yan had commented on her, she had heard it clearly. She was naturally agitated from inside. But when she saw Shi Yan, she recognised him as the one who had brought her to the brothel. This made her even angrier. What happened that day was deeply imprinted into her memory. And whenever she thought about it, she would imagine herself lying unconscious on the ground while that guy enjoyed himself with the two prost.i.tutes right in front of her. Finally, Shi Yan was right in front of her. Wu Yunlian, Zuo Shi, and Han Feng were all shocked. They looked at Xia Xin Yan weirdly, not understanding why she would want to talk with Shi Yan alone, instead of asking for Chi Xiao’s whereabouts. Shi Yan’s att.i.tude made Wu Yunlian and the rest even more confused. “It’s alright.” Shi Yan waved his hand, and left along with Xia Xin Yan. Shortly, the two arrived under an old tree. “That day, it was you, right?” Xia Xin Yan’s bright eyes looked straight at him, and asked indifferently. “That day at the brothel, while I was unconscious, you did… that with the two prost.i.tutes?” Xia Xin Yan secretly clenched her teeth. Xia Xin Yan was a bit stunned. It seemed she didn’t expect Shi Yan to honestly admit his lechery in front of her. Xia Xin Yan was in a fix and her expression was changing continuously. It was as if she very much wanted to scold Shi Yan, but didn’t know where to start. To scold him that he’s perverted? Well, he’s already admitted that. He’s already so shameless, what’s the use in scolding him further? Xia Xin Yan’s beautiful eyes were cold, her intention of a threat was clear. “Don’t worry, I’m not that stupid.” Shi Yan’s expression was indifferent. “That, that night, did you… did you do anything else to me?” Xia Xin Yan’s eyes suddenly showed a little panic. “It’s just a normal physiological need.” Shi Yan said indifferently. Xia Xin Yan started at him blankly, her eyes repeatedly showing feelings of disgust and anger. Xia Xin Yan could not bear to stay any longer. She turned around and left straight back along the path she came. She was still filled with anger, but there was nowhere for her to release it. “Then I will thank you in advance.” Shi Yan shouted loudly towards her retreating figure. A smile still lingered on his lips, as if he had no idea how annoyed Xia Xin Yan was. In the ma.s.s of dark clouds on the sky. A ten-meter long, Level 5 demon beast; a Wind Eagle, floated in the clouds. 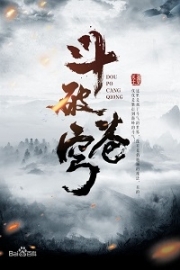 Beiming Shang, Beiming Ce, Yin Kui, Jiu Shan, Mu Yu Die and Di Yalan sat together on the Wind Eagle. Mu Yu Die clenched her fist, her bright eyes filled with hope. The Wind Eagle suddenly flew off, and quickly became a black dot as it swiftly flew towards the Dead Swamp, not leaving any trace of its pa.s.sing. 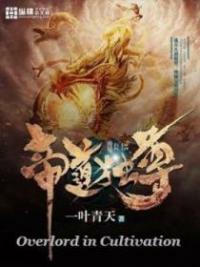 You're Read God Of Slaughter c83 online at NovelOnlineFull.com. You can use the follow function to bookmark your favorite novel ( Only for registered users ). If you find any errors ( can't read,broken links, can't load photos, etc.. ), Please let us know so we can fix it as soon as possible. And when you start a conversation or debate about a certain topic with other people, please do not offend them just because you don't like their opinions. You're reading God Of Slaughter. This manga has been translated by Updating. Author(s): Ni Cang Tian,逆蒼天. Already has 7735 views. Current Time is 23-Apr-2019 10:40:39 AM.